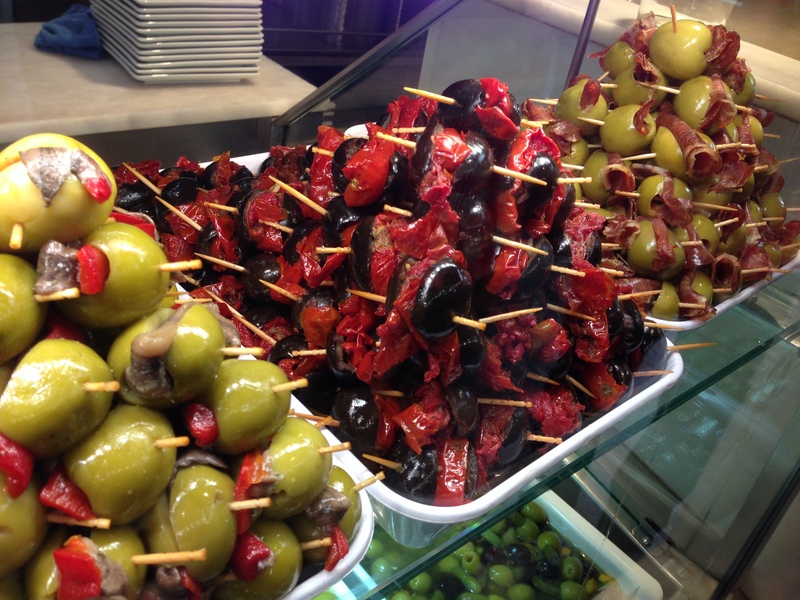 Assorted stuffed and marinated Spanish olives from Encurtidos at Mercado de San Miguel in barrio La Latina. Man oh man are the olives at Encurtidos delicious. This place has every kind of olive you can imagine served in every which way—marinated, plain, stuck to pickles, onions, and crab, and stuffed with everything from smoked salmon and manchego to sundried tomatoes and anchovies. Once you’ve fought your way to the counter, you can get a plate filled with whatever you want them to throw in there for 3-4 Euros. The first time I went I got a gigantic plate load with 20-30 olives, and would happily have eaten more. 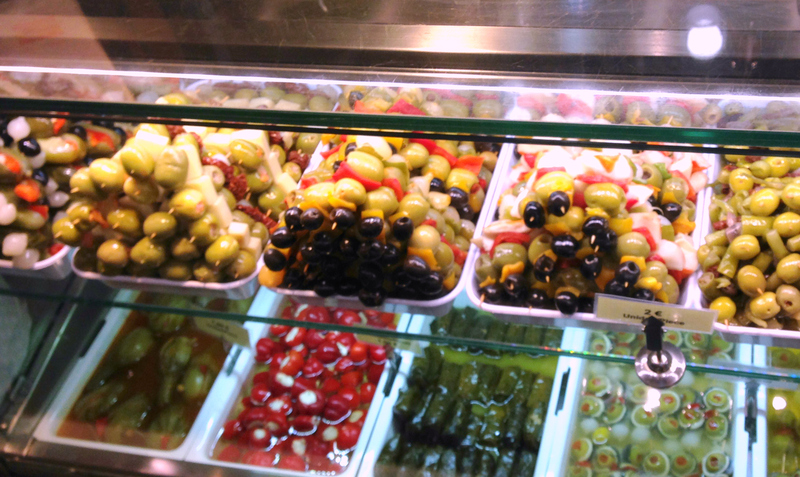 On my next visit, I filled up on so many stuffed olives I ended up skipping lunch altogether and going straight for dessert. I still can’t decide which I liked best. Just got notice of this post this morning, so there must be a day-delay? Glad to (finally) be on board. Glad you’re getting the posts!